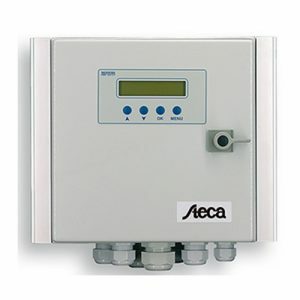 The Sum It Duo Charge Controller has been developed for the charging of two batteries. 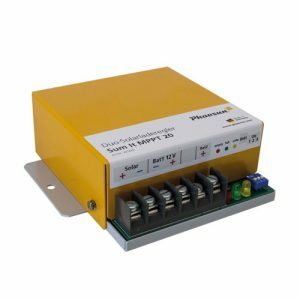 At the same time, the integrated MPP Tracker provides for a constant adjustment to the proper 12 V battery voltage, even if input voltages are higher which ensures that the total output of your modules can be always used in the most efficient way possible. 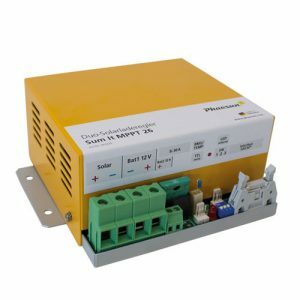 This charge controller is also appropriate for the use of solar modules not especially developed for Off-Grid purposes. 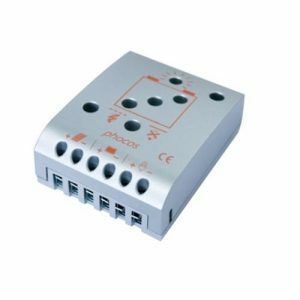 The starter battery is provided with charge current if the living space battery has a higher charge condition than the starter battery. The starter battery is charged with max. 1,5 A.